"Happi Baby Girl Clock" ; 5 1/2" H. x 5 1/2" W. x 1 1/4" D. Takes one (1) AA Battery. 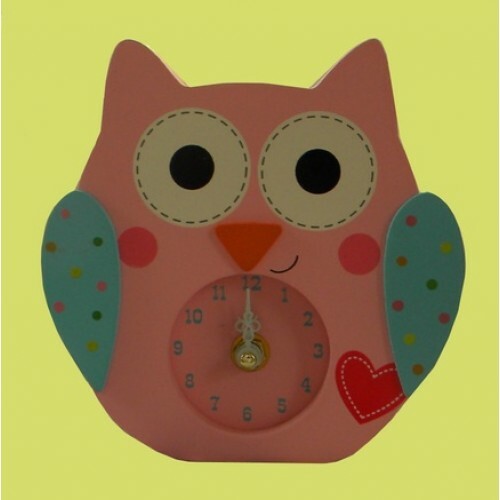 Pink ceramic owl bank is 6 1/2" H. x 6" W. x 5" Deep. ; Add $6.00 for NAME added. ***S..